Join us in Toronto for the 2019 FCO/ACCUO Biennial Conference! 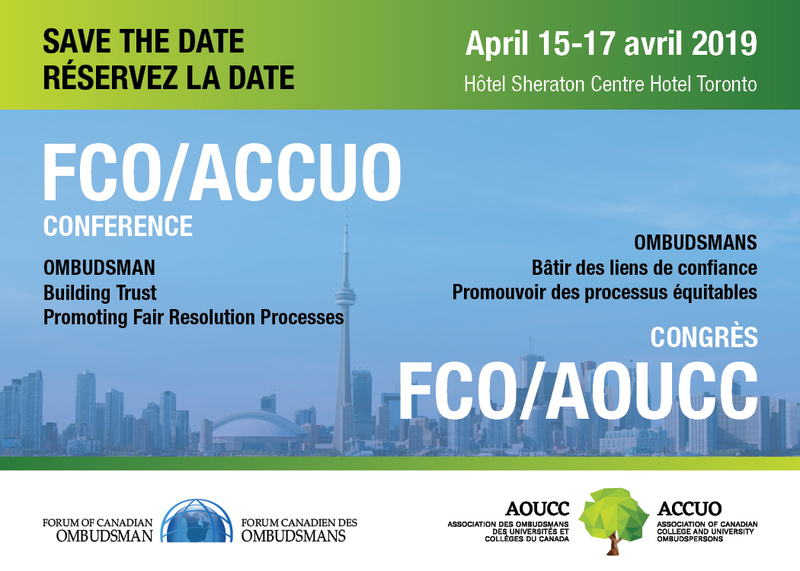 We are pleased to announce that 2019 FCO-ACCUO Biennial Conference will held April 15-17, 2019 at the Sheraton Centre Toronto Hotel. The OMBUDSMAN Building Trust Promoting Fair Resolution Processes conference will include two and half days of keynote presentations, concurrent learning sessions, Welcome Reception and more! A preliminary program with additional details will be available in the New Year. FCO and ACCUO will be holding their AGM’s and elections on Monday, April 15th and Tuesday, April 16th respectively. Don’t miss this opportunity to network with colleagues from all levels of government, education, banking, private corporations, health care and a variety of other organizations. Reduced rates for active FCO and ACCUO members! 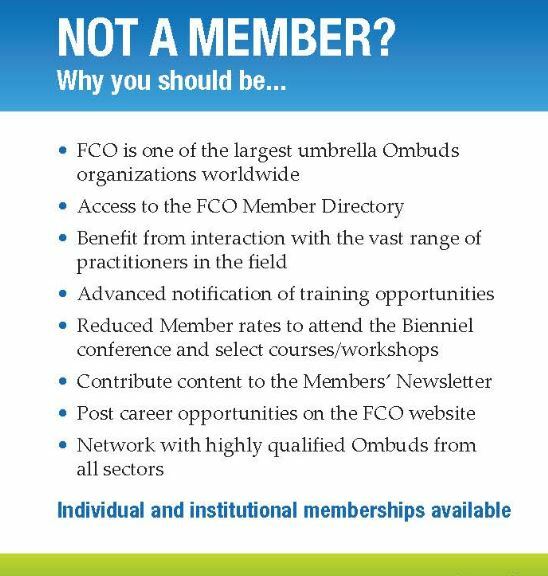 2019 FCO members will be eligible to register at the reduced members rates.